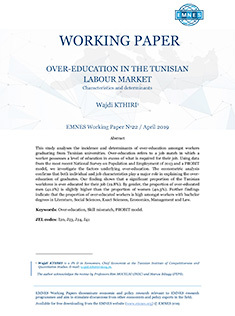 This study analyses the incidence and determinants of over-education amongst workers graduating from Tunisian universities. Over-education refers to a job match in which a worker possesses a level of education in excess of what is required for their job. Using data from the most recent National Survey on Population and Employment of 2013 and a PROBIT model, we investigate the factors underlying over-education. 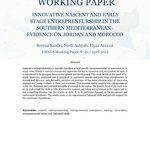 The econometric analysis confirms that both individual and job characteristics play a major role in explaining the over-education of graduates. 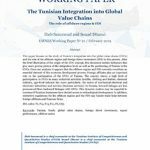 Our finding shows that a significant proportion of the Tunisian workforce is over educated for their job (19.8%). By gender, the proportion of over-educated men (41.2%) is slightly higher than the proportion of women (40.3%). Further findings indicate that the proportion of over-educated workers is high amongst workers with bachelor degrees in Literature, Social Sciences, Exact Sciences, Economics, Management and Law.